Exploring the internet is like diving into an ocean. More deep you will go, more exciting things you will find and more you will enjoy because swimming is always a fun filled activity. Similarly, the experiment of diving into the ocean of internet and case studies on social networking sites are also much more than happiness. As the time is flying so fast, the landscape of social media is evolving and introducing a lot of interesting things. The hashtag is one of those most interesting and surprising things which internet is presenting with each passing moment. The hashtag is a phrase preceded by a hash sign (#) which used to highlight the topic, to draw the attention and to organize or promote a message. The origin of the culture of Hashtags is associated with Twitter. It was used as a way of making people find, follow and contribute to a conversation. Later on, this burgeoning trend spread to other social media networks. The hashtag is incredibly a helpful way for brands in navigating the way through ever changing, ever evolving theworld of social media. It is important to know how useful hashtags are when it comes to branding and social media marketing. 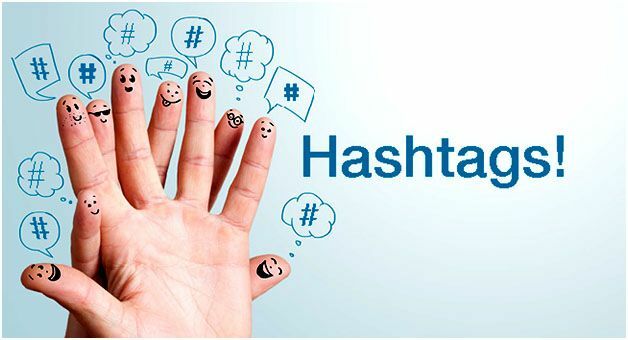 Whyshould brands have to use hashtags in their social media marketing campaigns?Therefore, here is the glimpse of 10 most significant reason which will definitely justify the utilization of ahashtag in your social media marketing campaign. Hashtags are gaining momentum on almost all social networking sites such as Facebook, Instagram, Twitter, and Google+. Include a hashtag in your post and get in frontof people on social networks. Hashtags make the difference in reach of your post and can keep track of your reach and engagement numbers as well. Organic means non-paid traffic and hashtag is something which will help you to reach more audience with organic traffic. Hashtags can make your post attractive to influence people to like your page for more updates. You can also use thehashtag in your personal profile to target more and more audience.one important thing which you must have to keep in mind is that hashtags are required to be relevant tocommon popularity keywords. Leveraging hashtag toincrease your brand is a magnificent idea. Branding a Facebook page by making the use of unique hashtag can help an idea or new product to catch on. You can brand all you post about a new product by breaking all the information about thenew product into theseparate stream of information. The hashtag is an easy way to share information. Therefore brands by making the use of hashtag can create brand awareness and positive word of mouth about a particular product. Don’t make your post too much promotional, try to make it valuable by taking the interest of people on board when creating a hashtag. The Internetis a giant web with a huge number of connections. Therefore, it is quite easy for someone to get lost in the realm of this huge network or in a search. In this regard having a unique hashtag means it is easy for you to compile all the responses at one place. So, take advantage of thehashtag and allow your users to interact with the brand and comment about the product or service on social networking platforms. In order to reach out potential users, you can take advantage ofsocial listening tools. These tools help the marketers to gauge the interest of their customers as well as potential users. Build rapport with your fans and followers by answering their inquiries. In Marketing, there is always a time when you are required to deliver information that will be divisive to some extent. Divisive information helps marketers to see negative reactions, questions, and debate over the message. In this regard,hashtags help the user to engage theparticipant in the conversation and to change their opinions. A hashtag is a useful tool which helps marketers to lessen the negative impact. The other side of the conversational coin is to amplify positive sentiments. Retweeting positive comments will engage active contributors. Hashtag as a useful marketing tool helps the message to travel faster and encourage followers to contribute in creating positive word of mouth. How well do users like your brand or product? What kind of discussions is revolving in the marketing about the brand? How much is a particular hashtag successful in attracting users? Hashtags allow marketers to track the performance and engagement of their brand or product. You can store all post and tweets under a particular tag and see the latest feedback by conducting the search. The hashtag is very helpful tool or strategy to keep track of performance and engagement. Another amazing and most thrilling reason behind the use of thehashtag is that these are great tools for research. Hashtags are search engine friendly tools. Search a specific hashtag, and you will findan enormous amount of great and relevant content. Tweet with hashtags is more focused on a particular topic than tweets just mentioning the phrase. Research conducted by Buddy Media explored that tweet with hashtags receive more engagement than the tweets without thehashtag. On the other way around we can say that marketers can increase customer engagement and clickthrough rates by just including thehashtag in their post. Overloading of thehashtag on a post on Twitterlooksspammy. Overloading of a hashtag in thesingleTwitter post often dilutes the message. The hashtag in social media marketing is like a rimshot. Marketers through hashtag show brand personality, repel audiences as well as potential users. On this multi-use platform, social media, brands like @oreo and @tacobell major stand out brands for being funny on a regular basis. Their funny tweets imply that the brands havestrong social strategies. They are perfectly making the use of thehashtag for humor because each time brandscome up with thedifferentfunny hashtag. Use thehashtag to make your marketing campaign memorable, unique and relevant to your audience. Efficient use of straightforward and distinctive hashtag will make the follow to remember your brand for longer time period. Brands can integrate hashtag with an easy call to action will help the company to communicate efficiently and reach the new heights of promotion and marketing. When it comes to connecting with people, there is no great way than ahashtag. You can increase your followers byfollowing others. Marketers by reading the most trending topics and by using the hashtags related to those topics are opening the floor for millions of people from all around the world. Hashtags are bringing the world closer than ever before and providing an opportunity to the brands as well as customers to interact effectively. Hashtags are super powerful if used correctly. People share hashtags to share and get information on different social media networks. The popularity and prevalence of the hashtags made it an integral part of social media marketing strategy. Now, I guess you have complete knowledge of the reasons behind the use of thehashtag. So whatare you waiting for? Go out and take the full advantage of thehashtag by carefully integrating them into your social media marketing strategy. I am very satisfied with your site and your posts they very useful to us. it’s very interesting one You posting the best articles they amazing.